It's hard to deny that the Call of Duty games are starting to become a little stale. They're by no means bad games, but with one released a year, there isn't enough difference between each instalment. 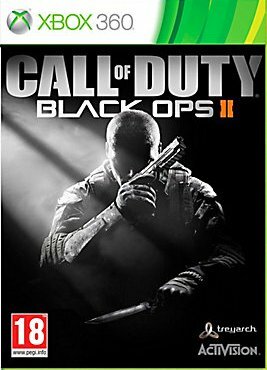 2010 saw the release of Black Ops (this reviewer's favourite Call of Duty since Modern Warfare 1), Treyarch's first attempt at a more modern setting, with an insane story and great group of characters shooting their way through the 1960s. Now, it has a sequel. Is it as good as the original? Read on to find out! Everyone knows the deal with Call of Duty games now. They somehow smash pre-order sales and break their own records with each instalment, as fans can't wait to pick up the next, slightly improved version. Black Ops was a fantastic game, and Treyarch showed that they can make a game better than Infinity Ward, for the first time in the series history. In the original, you played as Alex Mason, and this time you get to play as his son. Alex is now dead, and his son David is on a mission to find the guy that did it; Menendez, who is now threatening the US with a massive cyber attack, codenamed Karma. The game sees you travelling all over the world, both in the past and future, jumping through time to fit together pieces of the puzzle, and there are some really cool levels. As well as the usual CoD staples, such as a stealth level, a chase level, etc., there are some entirely new things to the series. One early level sees you take to horseback in a huge open level, which you must navigate to defend against an attack. It's so much fun and proves that something new can do a whole lot of good for a game. 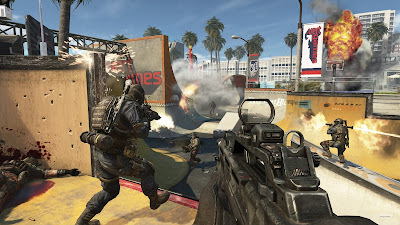 The flashbacks are told by Frank Woods, who fans of the series will remember as being completely badass in the original Black Ops, and they help to really mix up the gameplay, which is a necessity in a Call of Duty game. The switch between future and past is very obvious, as your weapons and gadgets are vastly different. The story is alright. It's nothing special, but that's not why you buy a Call of Duty. You buy it for the insane set pieces, the cool weapons and the solid mutliplayer. It's like in movies. Transformers films will always sell more than a complex indie film, even though it's clear which is a better film. 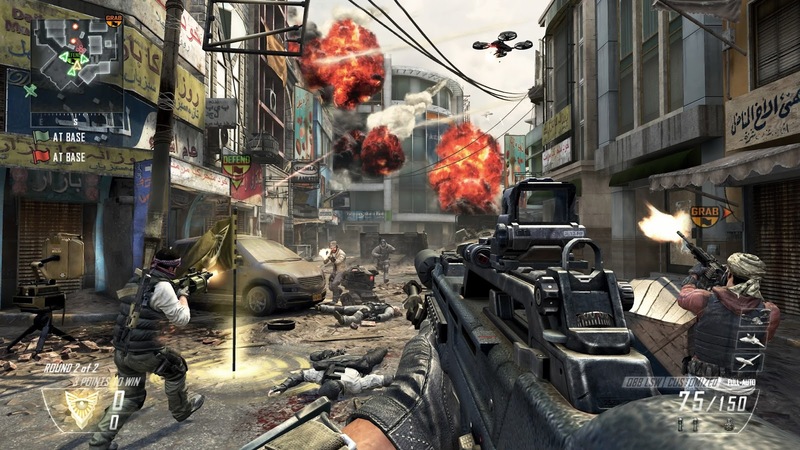 Call of Duty games are the blockbusters that are snapped up by the gamers who aren't looking for a meaningful experience, just an awesome shootout. The multiplayer is exactly what you'd expect from the most popular online shooter of all time. It's not really much different from the previous CoD games, but that's what the fans want, and if it isn't broke, don't fix it. 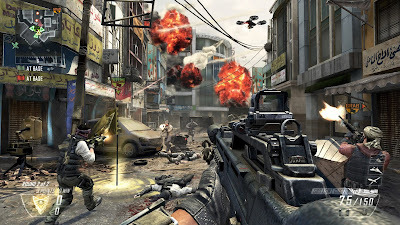 New gadgets, weapons and level up systems will keep it interesting for a while, but it isn't nearly as exciting as say, playing the original Modern Warfare online. That was new, original and exciting, and every game since has been a slightly improved clone. The maps are well designed though, and take you to new settings as well as locations from the single player campaign. There are some usual issues, such as spawning close to the enemy, and unbalanced weapons, but these are minor flaws that most multiplayer games have. There are too many variables to create a perfect online system. Graphically, it's stunning. Each new Call of Duty game sets a new standard for incredible graphics, and Black Ops 2 is no different. The character movement is realistic, the faces contort and wrinkle with accurate emotion, and the maps and objects just look top quality. The engine just keeps getting better with each iteration, and with next-gen and Ghosts mere months away, it's only going to get significantly better. The voice-acting and sound effects are also spot on, with big actors providing voices, and realistic gun, gadget and ambient sounds. Call of Duty: Black Ops 2 is exactly what you'd expect. If you're a fan of the old games, this is for you. If not, avoid it, as it's just more of the same. Don't expect a deep, complex, emotional story, just enjoy the explosions and mind-blowing set pieces. Don't expect the multiplayer to be much different, as the Call of Duty games has nailed online play. Why would they change it? It's a great instalment into the world's most popular series, but it's definitely time for things to change. How much longer will gamers shell out £40 for a game that's almost identical? Only time will tell.